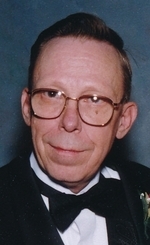 Harold Dallas Obituary - Gardner, Kansas | Bruce Funeral Home, Inc.
Harold was born August 4, 1944 in Memphis, TN to Glendel Creed and Mary (Brewer) Dallas. He grew up in the Memphis area, moved to Dyersburg, TN and lived in many places while he served in the US Air Force finally settling in Belton, MO in 1983. Harold was a 20 year veteran who worked as an Aerospace Control and Warning Systems Technician. He married Janice M. Idso on March 8, 1969 in Grundy Center, IA. Harold enjoyed reading and working puzzles. He will be missed by family and friends. He was preceded in death by his parents, one brother and two sisters. Harold is survived by his wife, Janice, of the home; daughter, Kristina Diane and husband Allen Clayton, Olathe, KS and two grandchildren: Michael and Alexander.